When will be Me and My Dog: The Ultimate Contest next episode air date? Is Me and My Dog: The Ultimate Contest renewed or cancelled? Where to countdown Me and My Dog: The Ultimate Contest air dates? Is Me and My Dog: The Ultimate Contest worth watching? 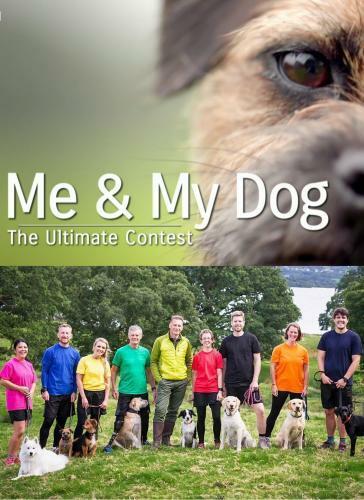 In a brand new series presented by Chris Packham, Me and My Dog sees eight owners and their dogs from across the UK compete together in a unique contest set in the testing terrain of the Lake District.This physical and mental competition will test all of the colourful characters relationships to the limit. Over four weeks, canine scientists and dog trainers will help them unlock the full potential of their partnership as they compete in a series of challenges. The best duos will win a place in the grand final, but only one pair can be crowned ultimate champions. Throughout the contest, dog devotee Chris will unveil the science behind the incredible bond between human and dog. In episode one the challenges are all designed to test their human/canine communication skills. The eight pairs are split into two groups - the Reds and the Yellows - and it's the Reds who have the first chance to score points. Owners must encourage dogs through a series of gates using three key modes of communication - verbal, body language and eye contact. For the Yellows it's a Ghyll Scramble through fast flowing water where dogs need to collect tennis balls along the way but some don't want to get their feet wet. The ultimate test of communication is a tethered biking challenge. The final scores are revealed - but who has triumphed in the first stage of the contest? Chris Packham hosts a physical and mental competition in the Lake District, where eight owners and their dogs compete together in a series of challenges, all in a bid to make it to the grand final. Programme two's challenges are all designed to test the levels of trust between the owners and their dogs. This episode's challenges are all designed to test the owners' ability to immerse themselves in their dog's world. It is the final stage of the contest and the Reds have one last challenge to determine which pairs go through to the final. It all comes down to a fiendishly difficult canine intelligence test which involves Lake Windermere and some dog toys. One pair prove just how far they have come and Toni is finally convinced that Flapjack is actually quite clever. Then it is the final - a human-dog triathlon involving a two kilometre bike race over rugged terrain, a 100 metre open water swim and a one and a half kilometre cross country run. It is a race to the finish and the Me and My Dog Champions are unveiled. It is a chance for everyone to reflect on what they have learned and it is a celebration of a very special species many of us choose to share our lives with. Me and My Dog: The Ultimate Contest next episode air date provides TVMaze for you. EpisoDate.com is your TV show guide to Countdown Me and My Dog: The Ultimate Contest Episode Air Dates and to stay in touch with Me and My Dog: The Ultimate Contest next episode Air Date and your others favorite TV Shows. Add the shows you like to a "Watchlist" and let the site take it from there.